Tokyo Giant fans may get the heeby jeebies, but this limited edition GameCube is a real treat for the console collector. 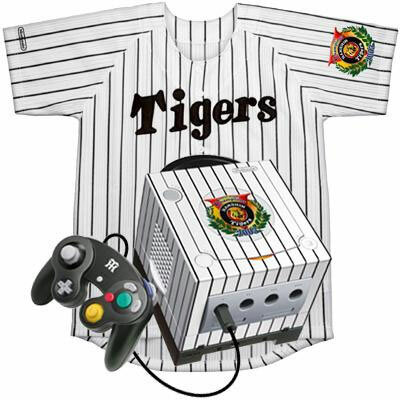 The machine, pad and GameBoy Advance Player all come in full Tigers Regale and there is also a shirt included to well and truly nail your baseball colours to the mast. Brand new. Also included with the console are two shirts: one baseball uniform and one T shirt, both sealed in bags. Please note the console doesn't come with any audio-visual leads, so we have popped in an AV cable. May require a step down convertor depending on country of use. 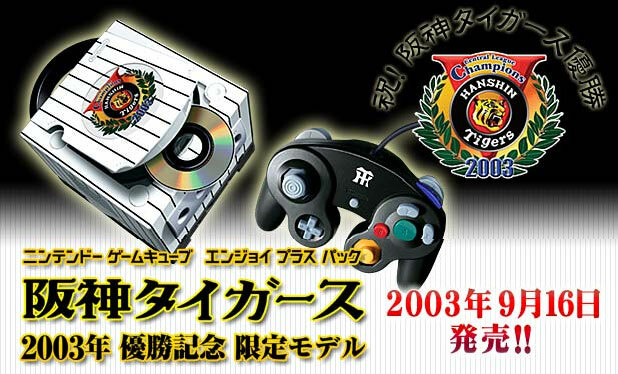 Compatible with NTSC capable TV's only. Slight discolouration to console box with a small tape removal remnant. Small perforation on top flap. Serial number DN12731232.